Arthur J Balfour & David Lloyd George, Foreign Secretary & Prime Minister. In the victory celebration parade that took place in London in July 1919 units of every ‘race and creed’ from Britain’s worldwide empire marched in symbolic unity. Men in their millions, latterly conscripted, had responded to the call to uphold the glorious traditions of the British race. Below: British sailors march through Whitehall in July 1919 to celebrate ‘Victory’. Two weeks after witnessing the humiliating scenes in the Galerie des Glaces, Harold Nicolson watched the Allied victory procession make its way through the Arc de Triomphe. Perched high on the roof of the Hotel Astoria, he was overcome by a wave of patriotic fervour as he applauded the British Grenadiers and behind them hundreds and hundreds of British regimental flags – stiff, imperial, heavy with gold lettering, “Busaco”, “Inkerman”, “Waterloo” – while the crowd roared with enthusiasm. Cries of “Good Old Blighty” were heard. Harold wept at the spectacle of the most glorious, the most democratic and the most final of Britain’s victories. For Nicolson, these three months in Paris, despite his private agony and professional frustration, ended on an emotional high. But this sense of relief and elation at the coming of peace did not last long, either in Paris or London. The Treaty of Versailles did not deal, except incidentally, with the problems arising out of the liquidation of the Austro-Hungarian empire, nor with the two other ‘enemy’ powers, Turkey and Bulgaria. Four further treaties were required to deal with these: St. Germain, concluded with Austria in September 1919; Neuilly, with Bulgaria in November 1919; Trianon, with Hungary in June 1920, and Sévres, with Turkey in August 1920, though later replaced by the Treaty of Lausanne in 1923. Above: At the Peace Conference at the Quai d’Orsay, by Sir William Orpen. From the ruins of the old Hapsburg Empire there emerged the small republic of Austria, mostly a mountainous territory in the Alps, with its huge capital, Vienna, retaining all that was left of its former greatness. Reduced by disease and starvation, its very existence threatened, Austria was one of the first states whose difficulties engaged the attention of the European statesmen. As a result of the Peace Settlement, there were many more small states than there had been in 1914. The League of Nations gave them their opportunity to co-operate and thus influence the decisions of the Great Powers. The frontiers of the countries in the Danube Basin were settled upon national lines. As a result, a group of aggressively national states was brought into being intent on securing economic as well as political independence, a situation dangerous alike to the prosperity and peace of Europe. Jealous of their neighbours and fearful of their former ruling peoples, the Germans of Austria and the Magyars of Hungary, they immediately began strengthening their military resources. At first, the ‘Peace’ appeared to be a decisive victory for democracy, as the autocratic empires of the Hohenzollerns, Hapsburgs and Romanovs were replaced by democratic republics. But the rival doctrines of Communism and Fascism began to undermine their stability almost as soon as they were created, and in these ideological positions, there was little room for representative institutions. While the Austrian and Turkish Empires were broken up, the German Empire was not drastically partitioned, as we saw in the first part of this article. This was chiefly because except at its eastern edges there were fewer national minorities under its sovereignty. However, it did lose all its overseas colonies and many thousands of German-speakers were placed under the rule of the new neighbouring states. These territorial losses alone were enough to create a sense of injustice in the minds of many Germans, but the effect of the economic provisions of the Treaty of Versailles was to convince them that the Allies were bent on their total ruin. The prosperity of Germany depended on her industrial and commercial development. The territorial annexations had taken away from her valuable mineral resources as well as fully grown industrial enterprises, e.g. textile-mills in Alsace. Not content with this, the Allies proceeded to imperil what remained by demanding reparations in the form of coal, the cession of railway stock, and its mercantile shipping; they interfered with her control over her navigable rivers and took away the special rights it had obtained in Morocco, Egypt and China. The reparations were to be paid in recompense for damage done to civilians in the Allied countries where the fighting had taken place. The overall effect of these arrangements was to ruin Germany economically, and since all nations were, to some extent, mutually dependent on trade with each other, they caused economic distress throughout Europe. Germany had been at her last gasp before she surrendered, but surrender did not break the fortitude of its people. They crushed a communist attempt to follow the Soviet Russian model and produced, even while starving and bewildered, some semblance of a national Government. They received the harsh conditions of Versailles with protests but with dignity, and then they set themselves against desperate odds to rebuild their economy and society. The Allied blockade was continued well into the second half of 1919, and it was only the protests of the British soldiers on the Rhine that forced the Allies to attend to their duty of provisioning a starving population. A huge proportion of this, children especially, were suffering from malnutrition. There was an extreme shortage of raw materials, and there was no money to purchase these abroad, nor were there ships to import them. The highly developed agricultural system was in ruins and yet the country was saddled with a huge but yet undetermined debt. The new republic had to quickly improvise a new social order and governmental system, threatened by anarchy at home and Bolshevism from both within and without. 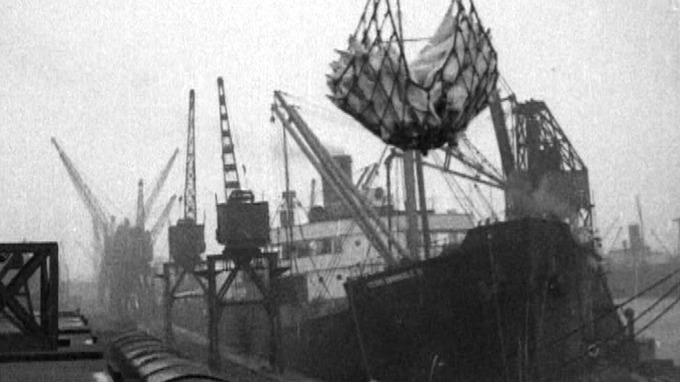 It is evident that Germany’s pre-war capacity to pay annual foreign tribute has not been unaffected by the almost total loss of her colonies, her overseas connections, her mercantile marine, and her foreign properties, by the cession of ten per cent of her territory and population, of one-third of her coal, and three-quarters of her iron ore, by two million casualties amongst men in the prime of life, by the starvation of her people for four years, by the burden of a vast war debt, by the depreciation of her currency to less than one-seventh of its former value, by the disruption of her allies and their territories, by Revolution at home and Bolshevism on her borders, and by all the unmeasured ruin in strength and hope of four years of all-swallowing war and final defeat. We cannot expect to legislate for a generation or more. … We cannot as reasonable men do better than base our policy on the evidence we have and adapt it to the five or ten years over which we may suppose ourselves to have some measure of prevision. … The fact that we have no adequate knowledge of Germany’s capacity to pay over a long period of years is no justification … for the statement that she can pay ten thousand million pounds. If we aim deliberately at the impoverishment of Central Europe, vengeance, I dare predict, will not limp. Nothing can then delay for very long that final civil war between the forces of Reaction and the despairing convulsions of Revolution, before which the horrors of the late German war will fade into nothing, and which will destroy, whoever is victor, the civilisation and the progress of our generation. According to Gilbert, writing in the mid-1970s, Keynes destroyed British faith in Versailles by opening the ‘floodgates of criticism’. For the following twenty years, the Treaty was ‘assailed by means of his arguments’. But he may have underestimated the difficulties of peacemaking in 1919. The task of the Allied statesmen was indeed difficult, because they had to take into account the views of the peoples of Europe, not just their leaders, in re-drawing the map of Europe. In the former treaties in Vienna in 1815, for instance, they only had the claims of the rulers to consider. In the main, Poles, Czechs, Slovaks, Romanians, Serbs and Greeks had every reason to be satisfied with the treatment they received. Though divided for a century, the Poles had never ceased to resist their conquerors, and they speedily asserted their independence on the collapse of their oppressors. They were generously supported at the conference. Clemenceau welcomed the renaissance of Poland as a bulwark against Germany and Russia, and Wilson had proclaimed at the outset that it was the duty of European statesmen to assist the Poles. The Czechs were a cultured people long oppressed who had resisted their Austrian masters in the nineteenth century. France realised that the position of their land gave the northern Slavs a strategic position in Central Europe, forming a barrier against potential Austrian and Hungarian aggression. President Wilson was impressed by the Czech leaders, who welcomed the setting-up of the League of Nations enthusiastically. Czechoslovakia was, both industrially and politically, the most important of the new states which emerged out of the ruins of the Austrian empire. It consisted of Bohemia, a rich industrial and manufacturing region, with a fertile and intensively cultivated soil, densely populated with a literate people, the Czechs; Moravia, another important area, with a strategic position between the plains of the Vistula and the Danube, and the mountainous area in the Carpathians, Slovakia, where the cultivable areas were few and the minerals unimportant. The population there was sparsely distributed and illiterate; communications were difficult. 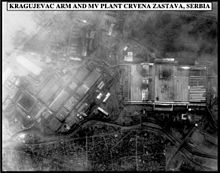 Czechoslovakia, therefore, inherited from the Austrian Empire industrial wealth and fertile land which enabled it to be self-supporting. However, it still had large numbers of minorities along its frontiers, including Germans, Magyars and Ruthenians, which created internal difficulties in administration and led to unfriendly relations with Germany, Austria and Hungary, which surrounded it. These negated the advantages of its position in central Europe. Romania had taken advantage of the weakness of Hungary to seize Transylvania, and the preoccupation of Russia with its civil war to take possession of Bessarabia; at the Peace Conference, it successfully asserted its claims to these on the grounds that Romanian people were in the majority. In many parts of these new territories, the ethnicities were very mixed, and the problem of achieving a fair division of the territories proved insoluble. In Southern Dobruja, however, there was unquestionably a Bulgarian majority, but this territory was left in Romanian hands. As a result of the Treaty of Neuilly in November 1919, Bulgaria was also forced to cede Western Thrace to Greece. The northern boundaries of Serbia and the Southern Slavs, what became the new state of ‘Yugoslavia’, were finalised under the Treaty of Trianon with Hungary in June 1920, but before that, Wilson supported the claims of the Southern Slavs against Italy, to whom the Allies had promised the lands along the Dalmatian coast, which was peopled by Slavs. Clemenceau agreed with Wilson, not because he was interested in the idea of satisfying the national aspirations of the Slavs, but because it afforded a practical method of detaching the provinces from Austria without the dangerous necessity of transferring them to Italy. For the first time in modern history, Europe was divided along national lines, yet there were many injuries and injustices to minorities, especially to those who lived in the defeated countries. People of different nationalities, especially in the south-east of Europe, were inextricably intermingled; a great number of different solutions to the problems, apparently equally just, was possible. Frontiers which would enable nations to have a chance of economic existence had to be devised. To ensure this alongside satisfying national demands, the Allied statesmen were faced by an almost impossible task. Harold Nicholson’s views on the ‘mistakes’ and ‘misfortunes’ of the treaties scarcely changed over the years. He would argue that Britain’s freedom of action had been severely limited by its war-time treaties with Italy, France and Romania, and with the Arabs, in the short run beneficial but in the long run positively harmful. He would further argue that democratic diplomacy, being captive to narrow, partisan, democratic pressures, was ‘irresponsible’, and that the fundamental error of Versailles was the ‘spirit not the letter’ of the treaty. He blamed the peacemakers. They had not combined to elaborate a ‘formal procedure’, nor had they settled upon an ‘established programme’, the upshot being that their deliberations were ‘uncertain, intermittent and confused’. The new Austria comprised a large area of the Eastern Alps, of little economic importance except for its forests, alpine pastures and scenic attractions, and a small plain along the Danube surrounding Vienna and along the Hungarian border (Burgenland). A third of the country’s population lived in the old capital, previously one of the most important cities in Europe. It had thus attracted in pre-war days large numbers of officials engaged in government, banking, insurance, transport and administration. These professionals were no longer required in such large numbers by 1919, as Vienna no longer supplied the needs of so large an empire; neither were its newspapers, clothes and furniture required in great quantities any more. The luxury-manufacturers of the city were excluded from the new countries which surrounded it by their imposition of high tariffs, and Austria could not easily export goods to buy the food that its people could not grow for themselves. The satisfaction of the national aspirations of the various peoples included in the old Austrian Empire created economic problems which affected the prosperity of all the states. Each tried to be self-supporting and erected tariff barriers against the others. Though they came to realize the folly of these restrictions on trade, attempts to form a Danubian Trade Federation proved unsuccessful. Germans in Austria were forbidden to unite with Germany under article eighty of the Treaty, despite being entirely German in language and culture. This was confirmed in the Treaty of St. Germain, by which Austrians in the Tyrol, Galicia and Bohemia were also left under alien rule. Control of Galicia, a wealthy area across the Carpathians, passed to Poland. Its soil was fertile and productive, with coal, iron, zinc, salt and petroleum resources also contained beneath its earth. The western part of the region was inhabited by Poles, but in the eastern part, the people were Ruthenians, creating a difficult minorities problem. Attempts made by these people to unite with their fellows in sub-Carpathian Ukraine (then part of the USSR) were frustrated by the Polish Government, and an insurrection was ruthlessly crushed by Pilsudski (see below) in 1919. South Tyrol and Trentino were both Alpine territories. In the latter the majority of the population was Italian, but in South Tyrol, the Germans were in the majority, and the union of both provinces to Italy created grave dissatisfaction. The Peace Settlement also disappointed Italy, however. The Allied offers made in the Secret Treaty of London by which Italy entered the war in 1915 were not fulfilled. Having acquired Trieste under this treaty, Italy now wished to consolidate its control over the northern Adriatic, including the entire Dalmatian coast down to, and including Albania. Meanwhile, the break-up of the Austrian empire had left the lands to be claimed by the Italians in the hands of the Serbians with the creation of Yugoslavia out of the south-western provinces of Croatia, Slovenia and Bosnia. They were largely mountainous areas of little economic importance. Their people were largely Slav in identity and so united with the Serbs to form the new Kingdom of the Serbs, Croats and Slovenes, which soon became known as Yugoslavia. Although a large country, its economic resources were limited and undeveloped. Its population also included large Magyar, German and Albanian Muslim minorities, within a country already combining Roman Catholic and Eastern Orthodox Christians. From the beginning, the Croats resented the greater influence of the Serbs and therefore grew closer to their coreligionist Germans. Italy failed to secure what it had been promised in 1915, the Dalmatian Coast, including Istria, and a Protectorate over Albania (see the map above). It did not even secure the port of Fiume, ‘the jewel of the Adriatic’, which had a large Italian population and had become a symbol of Italian nationalism and at the centre of Italy’s demands. In August 1919, Harold Nicolson attended an Allied meeting in Paris convened to sort out these problems. Italy put forward a series of transparent formulas designed to mask its true aims. The Italian delegate, M. Scialoga, suggested that Fiume and its hinterland should be recognised as a ‘free state’, but the island of Cherso, which dominated and effectively blocked the Gulf of Fiume, should be annexed to Italy, as should the high ground surrounding the port. The railway system, extending from Fiume island, should also be under Italian control. Abandoning all claims to Dalmatia, Scialoga nevertheless insisted that the Dalmatian coast must be neutralised, and called for Italian sovereignty over certain key areas; the zone of Zara, for example. Lastly, he put in a claim for a mandate over Albania. By these means, Italy hoped to achieve mastery of the Adriatic, but their strategies failed to gain support from the British and the Americans, though the French were prepared for a deal ‘on any terms’. Nicholson backed the American delegate, Major Johnson, in repudiating Italian claims to Fiume and Istria. Eventually, it was agreed to set up Fiume as ‘a free city’, an arrangement ultimately accepted by both Italy and Yugoslavia. Bitterly disappointed, however, the Italians turned on their government, and there was great discontent throughout the country. This manifested itself in September 1919, a month after the Paris talks, when a group of soldiers, led by D’Annunzio, an admired national poet, attacked and seized Fiume. Nicholson considered him a fine poet, but a political dimwit, barnstorming out of ‘sheer swank’. D’Annunzio’s posturing proved him right. The Allies forced the Italian Government to expel them, and they returned to Italy indignant and disgusted at the weakness of their government. Polish leaders realised that the War provided them with an opportunity to gain their freedom, though at first they did not anticipate complete independence and struggled only for self-government. Though the mass of the Poles fought in the Russian armies, an influential group, led by Pilsudski, supported Austria. In 1918 a group of Poles organised a National Committee in Paris and raised an army which fought on the Western Front. The Allies in return promised the Poles to complete independence. The independent Polish state was proclaimed at Warsaw and in Galicia immediately after the collapse of the Central Powers. The new state was represented at the Peace Conference, and its independence was recognised. The western frontier was agreed upon, with the provinces of Posen, West Prussia and Galicia to be included in the new Poland. The eastern frontier was settled provisionally, with the disturbed state of the Soviet state giving the Poles an opportunity to secure a more favourable frontier than they had had to begin with. President Wilson had promised that Poland should have access to the sea. This involved adding to the indisputably Polish territory an area along the coast west of the Vistula delta in which there was a mixed population of Germans and Slavs. Germany strongly objected because East Prussia would be cut off from the rest of Germany; when the German President wished to visit his family estates in East Prussia he would have to cross a foreign state. In spite of the fact that its population was overwhelmingly German, the Poles claimed that the city of Danzig was the ‘natural outlet’ of the Vistula basin (see map above left). A compromise resulted in the creation of the tiny independent state of the ‘Free City of Danzig’, under the supervision of the League of Nations. Neither Germany nor Poland was satisfied with this arrangement, however. The fate of Upper Silesia was eventually settled by plebiscite (see map above right). The division of the former Austrian territory of Teschen, an area with valuable coal-mines and the centre of a major railway network, on the Polish-Czechoslovak border, was arranged by the Allied Statesmen. How many members ever heard of Teschen? Lloyd George asked the House of Commons, disarmingly admitting that until recently he had not. Teschen presented the peacemakers with an intriguing problem: whether to honour the sacrosanct principle of national self-determination; or whether to secure the prosperity of a model, democratic state emerging in central Europe. Edvard Benes, then Foreign Minister of Czechoslovakia, told Nicolson, who had been charged with producing a report, that the fate of Teschen depended on the attitude adopted by the British Delegation. The territory was ethnically Polish by a ratio of two to one, but it was considered essential to Czechoslovakia’s economic well-being. In early 1919 fighting had broken out between the rival parties, a ceasefire being imposed by the Allies with some difficulty. Nicolson set out the options for the delegation: either appeasing Polish nationalism or, more precisely chauvinism, as he saw it, or allowing Czechoslovakia some economic breathing space. There was considerable friction between Poland and Czechoslovakia over this; the final settlement, reached after strong French pressure, effectively partitioned the region: the Czechs acquired the coal mines and most of the industrial basin of approximately 1,300 square kilometres; the City of Teschen was divided into Polish and Czechoslovak quarters, with the latter containing the invaluable railway station. For the following ten years, Gilbert claimed, appeasement was the guiding philosophy of British foreign policy. British official opinion doubted whether a secure Europe could be based upon the treaties of 1919, and had strong hopes of obtaining serious revisions to those aspects of the treaties that seemed to contain the seeds of future conflict. With the disintegration in 1918 of the Russian, Turkish, German and Austro-Hungarian Empires, the final stage had been reached in a process that had begun in Europe during the Napoleonic wars – the evolution of strictly national as opposed to dynastic or strategic frontiers. Post-1918 diplomacy was geared towards securing the final rectifications of frontiers still not conforming to this principle. Most of these frontiers were the result of the Versailles boundaries which had been drawn to the disadvantage of Germany. Thus there were German-speaking people outside, but contiguous to the German frontier with Poland and Czechoslovakia. Many Germans lived in the frontier provinces of Alsace-Lorraine and Holstein, which were also lost to Germany. Germans in Danzig and Memel were detached from their mother country. The claims of Poland were preferred to those of Germany in the creation of the Polish Corridor to the sea and the in the division of the Silesian industrial area. She was in the position of a householder who has surprisingly knocked out a far more powerful burglar, and it was her aim to see that her assailant was not allowed to recover freedom of action. Therefore her policy … must be to keep Germany crippled and weak, and to surround her with hostile alliances. The terms of the Treaty, both as to reparations and disarmament, must be interpreted according to the strict letter. No one can deny that her fears were natural. It is easy for those who live high above a river to deprecate the nervousness of one whose house is on the flood level. To Britain, it seemed that, with every sympathy for French anxiety, it was impossible to keep a great Power in perpetual tutelage, and that the only hope for France, as for the world, lay in establishing a new international system which would give political security to all its parts. Lloyd George, while he remained in power, strove honourably for this end. The disarmament of Germany, while France rearmed, was a German grievance which could either be met by disarming France or allowing Germany to rearm. Both alternatives were considered by British policy-makers, and when the first proved impossible to secure, the second became logically difficult to resist. A further ‘inequality’ was the exclusion of Germany from the League of Nations. British policy worked for German inclusion and looked forward to a time when the differences between the ‘Allied’ and ‘Enemy’ Powers, as embodied in the Treaty would disappear. The policy of appeasement, as practised from 1919, was wholly in Britain’s interest, of course. Britain’s policy-makers reasoned that the basis of European peace was a flourishing economic situation. Only by success in this policy could Britain avoid becoming involved, once again, in a war arising out of European national rivalries and ambitions. We came to Paris confident that the new order was about to be established; we left it convinced that the new order had merely fouled the old. We arrived as fervent apprentices in the school of Woodrow Wilson; we left as renegades. If he had had to choose a hero at Paris, he would surely have chosen Lloyd George, fighting valiantly for a moderate peace, with Venizelos, the Greek Prime Minister, and Smuts running a close second and third. Until the end of 1919, Nicolson was based mainly in Paris, working for Sir Eric Drummond, a senior Foreign Office mandarin and designate Secretary-General of the League of Nations. He was supremely confident that the League was a body which was certain to become of vital importance. … a great experiment. He was also putting the finishing touches to the treaties with Austria, Hungary, Bulgaria and Turkey. Lloyd George and Balfour had left Paris to immerse themselves in Westminster politics. Much committee work was delegated to him, particularly on those bodies dealing with the Czechoslovak and Greek questions. He scored a minor success regarding the vexed question of Teschen, and continued his involvement with the Austrian and Bulgarian treaties and delineating Albania’s frontiers in the face of Yugoslavia’s demands. He clashed with Lloyd George over the Italian policy, arguing for a tougher line in view of Italy’s recent mischievous behaviour. Lloyd George responded angrily: The Foreign Office always blocks me in whatever I wish to do. But as the year drew to a close, the most pressing issue was how to meet British commitments to Greece, an undertaking that was slowly but relentlessly unravelling. From 1919 to 1921 the IRA killed hundreds of policemen and soldiers, and the police and ‘black and tans’ killed hundreds of IRA men in retaliation. In Dublin, there were IRA men and women everywhere, but it was hard for the British to find them. Michael Collins, the IRA leader, was known to the British authorities as a prisoner after the 1916 Uprising, but they didn’t even have a photo of him. Meanwhile, another imperial dream came true in 1919 when Cecil Rhodes’ ‘Cape to Cairo’ scheme came into fruition when Britain took Tanganyika (now Tanzania) from Germany, completing that chain too. The Union of South Africa took over the administration of South-West Africa from Germany, and the spoils in the south Pacific were divided between Australia and New Zealand. With Britain’s existing Dominions and colonies, this all meant that the British Empire in 1919 was more extensive than it had ever been. But in fact, while the war had added new colonies to Britain’s ‘collection’, it had also weakened her grasp in her old ones. In the self-governing dominions, the co-operation with Britain which imperialists gloried in was misleading. That they had co-operated in wartime did not necessarily signify that they wished to be shackled in peace. The Great War was a European war which Britain only just won, with their support and at great cost in lives, especially for the ANZACs. Gallipoli had been just one of many defeats along the way; in itself, this had damaged the prestige and authority of the ‘mother country’. 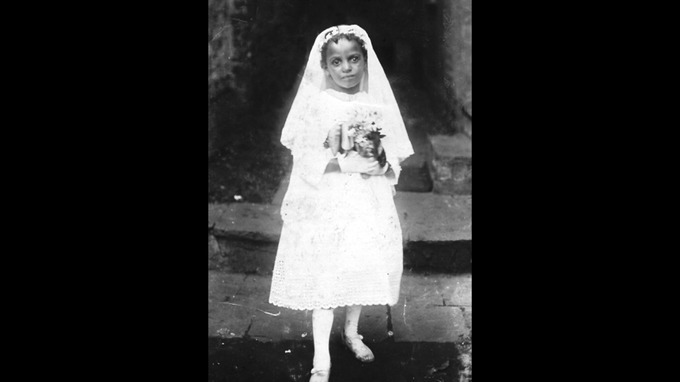 She had had to issue ‘promissory notes’ of ‘self-determination’ to the Egyptians, the Palestinian Arabs and the Indians, which they expected her to honour. The war had therefore provided an opportunity for a more vigorous assertion of nationalism with a harder edge than before. The overthrow of the Turkish armies in 1918 was complete; all the provinces from the Mediterranean to the Persian Gulf were overrun, and the great cities of Baghdad, Jerusalem, Damascus and Aleppo were captured. The Turks were forced to acknowledge defeat and signed an armistice at Mudros in October 1918. Allied troops occupied Constantinople. However, it soon became apparent that settling the conflicting claims of the victorious powers would prove very difficult. By secret treaties made during the war, promises of Turkish territories had been made to Russia, Italy, France, Greece and to the Arabs. The Allied statesmen postponed the settlement of the difficult issues until they had settled the more urgent needs of Europe. They permitted the Greeks, however, to occupy the port of Smyrna in 1919 and supported the occupation with an Allied fleet. This action aroused indignation among the Turks. The ‘Greek question’ had begun on a high note, with a virtual agreement between the British and American delegations in meeting most of the Greek Prime Minister Venizelos’s territorial goals. These included Smyrna and its hinterland, roughly corresponding with the Ottoman vilayet of Aydin, some form of international régime over Constantinople, and the whole of western and eastern Thrace up to the vicinity of the Turkish capital, claims that, if realised, would have given the Greeks control over the Straits. Harold Nicolson was, initially, among the many who fell for Venizelos’s charm, but he soon recognised, as did the Americans, that the Greek PM’s extravagant empire-building heralded disaster. Harold was instructed to inform Venizelos that there would have to be a compromise regarding the future of Thrace. Then the Smyrna landings were besmirched by Greek atrocities against the local Turkish populace, which sparked off the Turkish national revival under the leadership of Mustafa Kemal (Ataturk). In the British Empire, the support and the opportunity for colonial aggrandisement were both there; consequently, the main result of the war for Britain was a considerable augmentation of its empire. The middle east was divided up in accordance with the secret war-time Sykes-Picot agreement (see map above, showing the division into ‘A’, for France, and ‘B’ for Britain). The Arabs were given the Arabian desert, Britain took for herself Palestine, Transjordan, the Persian Gulf states and Iraq: which together with its existing protectorates in Egypt, Cyprus and Aden made up a tidy little middle-eastern empire. Of course, Palestine and the other middle-eastern territories were not ‘annexations’ or even ‘colonies’. They were called ‘mandated’ territories (see the map below), which meant that they were entrusted to Britain and France by the League of Nations to administer in the interests of their inhabitants with a view to their eventual independence. Nevertheless, this award almost fulfilled Curzon’s old dream of a continuous belt of influence or control between the Mediterranean and India, which was completed in August 1919 when the final link in the chain, Persia, was secured by means of a one-sided, widely resented treaty. I do not regard the force of numbers as necessary in a just cause, and in such a just cause every man, be he high or low, can have his remedy. the breaking down of the ‘caste system’ as it affected the ‘Untouchables’, the lowest class of Hindus, who had been debarred from the communal life of India (they were banned from the temples and were not allowed to use the drinking-wells in the villages. These points were also the key elements in his Satyagraha, his struggles with truth or the ‘spiritual force’ of non-violent resistance to British rule which dominated the next the next three decades in the campaign for Swaraj, the ‘self-rule’ or Independence of India. As 1919 progressed, civil strife in Britain continued, principally among the miners, shipbuilders, railwaymen and farm workers, that is, in the declining sections of the economy. The standard of living had improved dramatically during the war, and the working-classes were determined to resist any diminution in their wages when it came to an end. There were also mutinies among those awaiting demobilization in the armed forces which reminded the upper classes uncomfortably of the Russian Revolution; they were followed by a series of strikes which led The Times to proclaim that this war, like the war with Germany, must be a fight to a finish (27 September 1919). The railwaymen, miners and transport-workers formed themselves into a ‘triple alliance’ in which they agreed to support each other in disputes. The ‘showdown’ did not begin in earnest until 1921 and came to an end five years later, but in 1919 comparisons were drawn with the unforgiving bitterness of class war on the continent. The social divisions within Britain, however, were always mitigated by a number of factors: a common heritage of what it meant to be British; reverence for the monarchy; a residual common religion and national churches; the instinctive ‘communion’ of sport and a saving, self-deprecating humour. The coloured men comprised principally West Indians, West Africans, Somalis, Arabs and a few Indians. They live in boarding houses kept by coloured masters in an area bounded in the north by Bridge Street, the east by the Taff Vale Railway not very far distant, on the West by the Glamorganshire Canal, and on the South by Patrick Street. Some of the Arabs and Somalis live in the northernmost portion of this area but the majority, particularly the West Indian negroes, live in the southern portion. The area is divided by a junction of the Glamorganshire Canal which has two bridges, one in Bute Street and one at East Wharf. The coloured races, the majority of whom were practically segregated in their own quarter in Bute town, are showing a tendency to move more freely in that portion of the city where the disturbances took place. … The police made strenuous efforts and succeeded in keeping the white population from the Southern portion by guarding the bridges as otherwise if they had penetrated into that area the black population would have probably fought with great desperation and inflicted grave loss of life. They claim equal treatment with whites and contend that they fought for the British Empire during the war and manned their food ships during the submarine campaign. Roughly a half of these were seamen of different grades and the other half consisted of different men who had no experience as seamen until the war made it necessary to recruit them to man British Merchant shipping. Four of the principal Arab and Somali boarding masters met the Chief Constable in the middle of June to ask him to make representations to the Government on their behalf, as they had a large number of men ‘on their hands’ who were in debt to them and wholly dependent on them for subsistence. Some of these men had been unable to get a place on a ship for the past six months. This was, in part, due to the imposition of a ‘colour line’ on the engagement of crews. 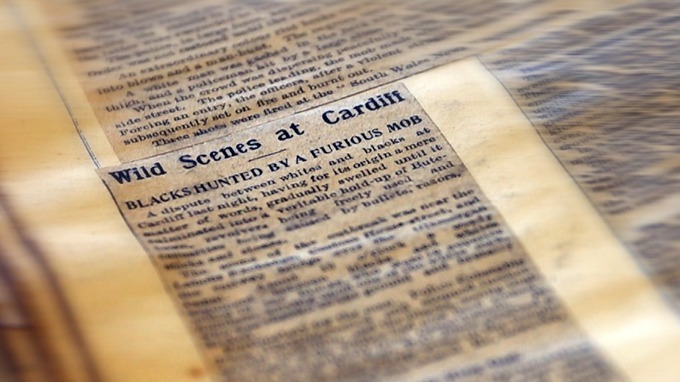 The race riots of 1919 brought bloodshed to Cardiff. Three men died and hundreds more were injured. 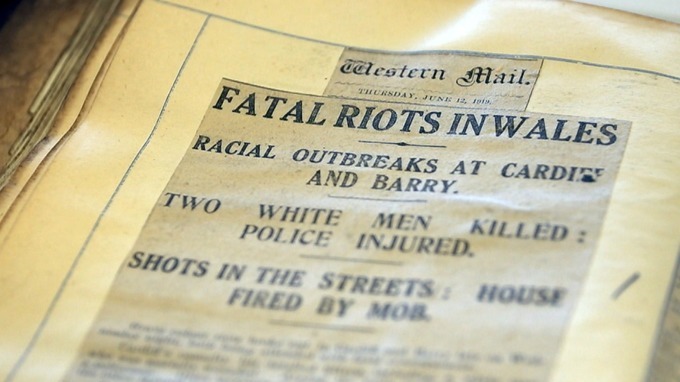 That same summer, the South Wales docklands of Newport and Barry also experienced brutal outbreaks of racial violence. The effects of the riots rippled throughout the Empire. From the start, the police felt that the answer lay in repatriation and this suggestion was made to the Home Office in a telephone conversation after the first two nights of the riots. However, the scheme which was introduced offering financial inducements failed to have an impact, unable to tempt people out of their established homes and relationships. Some were married to white women and so could not be repatriated; for other married men, the terms were simply impracticable. The funds available covered only a fraction of the costs involved and proved impossible to administer fairly. By August of 1919, some six hundred men had been repatriated. The voyages did not prove to be plain sailing either. The SS Orca which sailed from Cardiff on 31 August with 225 black mercantile ratings on board experienced what its owner described as a mutiny, exacerbated by the fact that the seamen went on board with arms, including revolvers, in their possession. The mutiny was instigated by a group of eighty prisoners who were boarded at Le Havre, but the mercantile ratings joined in what became a ‘general uprising’. … on the following day a detective was detailed and sent round to all the houses taking statements of our entire debts and after receiving same he told us that the Government would give us the amount of money to pay same and when we arrived at our native home (British) we would receive ample compensation for our ill-treatment as we were bound to leave on the first ship; if we didn’t worst trouble would come on us. … the riot by the whites on us was going on for fully eight days before the Authorities there could cope with it and attempted to take any proceedings to stop it. … we have no monies; we are in a state of almost want and destitution having to move away so quickly all our belongings goods and chattels were left behind all we have to subsist on is the 25/- which was given to us by this Jamaica Government and this is a mere trifle as the high prices of food stuffs and the high cost of living, food, clothing etc. make it hard to live on. In response to the allegations made in the petition, the police claimed that they were not aware that racial feeling was incited by the publication of articles in the press. Welsh Labour historian Neil Evans has suggested that this more general atmosphere of hostility was partly in response to racial clashes elsewhere in Britain and stemmed from the general mood of chauvinism engendered by the war. The authorities in Cardiff denied that any houses were fired during the riots, but reported that some furniture had been burned. They also denied the claim that ‘refugees’ were taken from their houses by night and conveyed in a “Black Maria”. The repatriation scheme was in place before the riots under the administration of the Board of Trade. Apparently, the Treasury arranged for payment of a re-settlement gratuity of six pounds per man on his arrival in his colony of origin. The Town Clerk of Cardiff claimed that the Riots only lasted for two days and were intermittent rather than continuous. The Corporation had agreed on compensation claims to two of the boarding-house keepers and twelve other claimants, who had left Cardiff without leaving a forwarding address. But when some of the repatriated men arrived in Trinidad, the stories of their mistreatment in Cardiff played a part in the upheavals on the island in December 1919. One particularly gruesome story circulated there that a crowd in Cardiff had stopped the funeral of a black man, decapitated him and played football with the head. There is no documentary evidence of this, but references exist, apparently, in Colonial Office Papers. Eye-witnesses asserted later that the press had not told the full story of the riots, and that many violent incidents associated with the outbreak had not been reported to the police. Some of this testimony has only recently come to light. Leslie Clarke’s family found themselves caught up in the conflict. 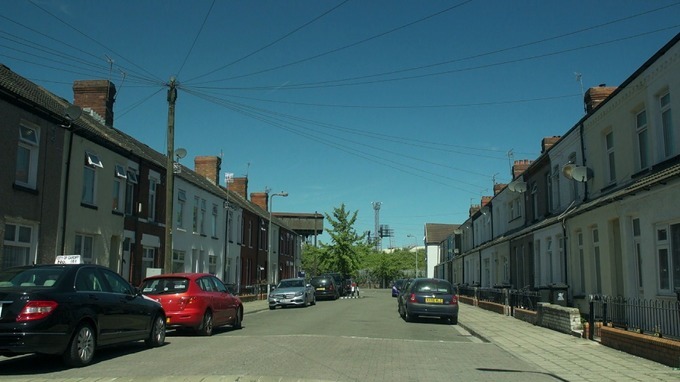 Leslie’s mother and grandparents were living in a quiet terraced street in the Grangetown area of the city, near where this author used to live as a student in the early eighties. Leslie’s grandmother was white; her grandfather was from Barbados: “A thousand people came rioting down the street looking for black people,” Leslie explained in a 2018 interview for HTV Wales. “So my grandmother persuaded my grandfather to go out the back way and to climb over the wall and go and hide. She reckoned that nobody would hurt her. “But they did. They beat her up. They beat her really badly. Quite clearly, much of this oral testimony of the victims of the riots was not shared at the time because of fear of further reprisals. Even in recent years, white supremacists and extremists have continued to publish propagandised versions of the Riots. 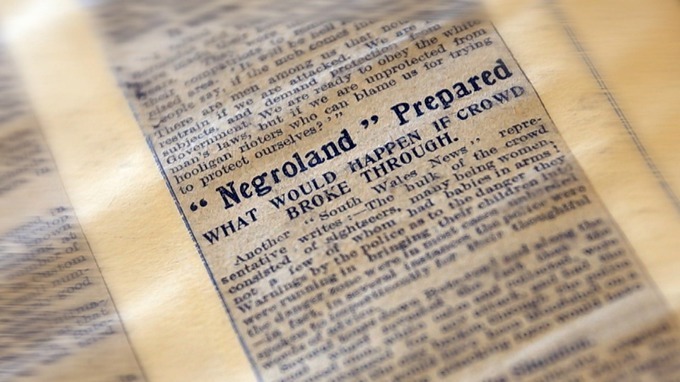 Despite the claims and counter-claims, the black ratings’ petition provides further evidence of such incidents and is a rare example of black victims’ viewpoint of racial violence, which would otherwise be hidden from history. In modern-day Cardiff, you won’t find any reminders of those riots. No memorial, no marker. They’ve become a forgotten chapter in the city’s history. The promised post-war economic ‘Reconstruction’ of Britain was, however, not quite the ‘myth’ that some historians have made it out to be. In the economics of heavy industry, ‘war socialism’ disappeared as Lloyd George always meant it to, and with it went the sense, in the Labour movement at least, that an activist government would do something to moderate the inequities of the old industrial system. The coalition government, largely Conservative and Unionist in composition, was determined to dismantle as quickly as possible the state control of raw materials, manufacturing, communications, wages and rents. Demands by the trade unions for the nationalisation of the coal industry, the docks and the railways were swiftly swept aside. The termination of ‘war socialism’ and the restoration of monetary orthodoxy became synonymous with post-war ‘reconstruction’ in Britain. Tory traditionalism trumped any idea of the development of social democracy along continental lines. But there was still room for a continuation and perhaps completion of the ‘new Liberal’ reforms which had led to a nascent ‘welfare state’ before the crises of 1910-1914 and the impact of the World War. The liberal historian and president of the Board of Education, H. A. L. Fisher raised the school-leaving age to fourteen, a small act, but one of immense significance, and wages and salaries were standardised throughout the country. Old-age pensions were doubled, and unemployment insurance extended to cover virtually the entire working population of Britain. Through the extended Unemployment Insurance scheme, which began to operate at the beginning of 1920, the state became involved in the ‘problem’ of unemployment in a way it had never been before the First World War. This was to lead, through all the stumblings of a stubborn mule, into unparalleled intervention in the social conditions of working-class communities throughout the nations and regions of Britain. Mass unemployment was to become a new phenomenon in the inter-war years, and one which had not been properly quantified before the War. The pre-war trade union figures had revealed an annual rate of under five per cent between 1883 and 1913, never getting above eight per cent. Between 1912 and 1914 London had the highest level of unemployment with an average of eight per cent, whereas south Wales had the lowest level at under three per cent. In the decade following the end of the war, these positions were entirely reversed, and average unemployment increased by as much as tenfold in certain regions and ‘black spots’. During the war, party politics had been discarded, and the Coalition Government was set to continue under Lloyd George. In 1918-19 the Liberal Party was in a grave condition due to its internal divisions and the Labour Party had taken its place as the main party of opposition. It appeared that the party structure might change profoundly. In one way or another, it can be argued that the ‘challenge of Labour’ after the war confronted all the politicians who had come to prominence before 1914. Their uncertainty moving forward was to be compounded by the major extension of the franchise, among all adult males and partially among females in 1918. Lloyd George was convinced that he could govern through a combination of sheer charisma and tough political muscle. The coalition faced little opposition in parliament, where there were only fifty-nine Labour MPs and a withered ‘rump’ of ‘pure’ Liberals led by Asquith, who had never got over Lloyd George’s ‘coup’ against him in 1916. The prime minister rarely put in an appearance, preferring to preside instead from Downing Street, which became headquarters for a circle of cronies. Honours were up for sale and insider commercial favours were expected in return. Under the leadership of J. Ramsay MacDonald (pictured below), the Labour Party had adopted a Socialist programme in 1918; so for the first time, the party system had to adapt to the two opposition parties, Labour and the Asquithian Liberals, holding fundamentally opposite views. It failed to do so. As early as 1919, it was evident that the relationship between the new democracy, based on universal suffrage, and foreign policy, might have to be worked out afresh in an international environment which was still far from stable. During the war, a group of intellectuals, publicists and politicians, both Liberal and Labour, had formed the Union of Democratic Control. In the view of this group, the outbreak of war had shown the futility and inappropriateness of existing diplomatic procedures and assumptions. Secret diplomacy belonged to a bygone era and it was time to involve ‘the people’ in policy-making, or at least to ensure that there was democratic control over decision-making. However, when it came to details, there was little unanimity about how either ‘democratic control’ or the League of Nations was to work. For some, the former concept went beyond parliamentary control and there was talk of plebiscites and referenda. Others concentrated on trying to devise mechanisms whereby the executive would be subject to scrutiny and restraint by various foreign policy committees of the House of Commons. There was another popular post-war myth, that ‘the British people’ were inherently pacific and had only been involved in wars by the machinations of élites who initiated conflicts for their own ends. These views enjoyed some support and bore some influence on policy-makers. They blended with the contempt for secret treaties displayed both by Vladimir Lenin on the one hand and Woodrow Wilson on the other. They also related, albeit awkwardly, to the enthusiasm for the League of Nations on the centre-left of British politics. The more these matters were considered, however, the more difficult it became to locate both ‘foreign policy’ and ‘public opinion’. A similar range of views surrounded the League of Nations. Some supporters saw it as an embryonic world government, with ‘effective’ military sanctions at its disposal, whereas others believed that its essential purpose was to provide a forum for international debate and discussion. Enthusiasts supposed that its creation would render obsolete the notion of a specific British foreign policy. But, at the end of 1919, supporters of these new concepts and structures were still four years away from truly coming to power. Irene Richards, et. al. (1938), A Sketch-Map History of the Great War and After. London: Harrap. Norman Rose (2006), Harold Nicolson. London: Pimlico. J. M. Keynes (1919, 1924), The Economic Consequences of the Peace. Basingstoke: Macmillan. Neil Evans (1983), The South Wales Race Riots of 1919: a documentary postscript. Llafur (The Journal for the Study of Welsh Labour History), III. 4. Below: Piccadilly in 1919. Note that it is not a roundabout, and there was still room to move at walking pace across Piccadilly Circus. Note also: The “Old Bill” type bus, on what is now the wrong side of the street; as many men in uniform as not; “As You Were,” on at the London Pavilion; the ageless violet seller installed on the steps of Eros. Above: The Summer of 1919 was very hot. The grass was burnt yellow, and the cricket ball dropped like a cannonball on the cracked earth. Victory weather, just right for a summer of Peace parades and celebrations. And just right for those who had to sleep out: the returning warrior found London short of houses. In the middle of all the heroic struggles for freedom in the world in 1989, the Westminster village ‘bubble’ witnessed an event which seemed anything but heroic. Thatcher had been challenged for the leadership of the Conservative Party by Sir Anthony Meyer, an elderly ‘backbencher’, pro-European, who was seen as a ‘stalking horse’ for bigger beasts to enter the fray in a challenge to the Prime Minister. He was much mocked on the Conservative benches as ‘the stalking donkey’, In the 1989 leadership election on 5 December, Meyer was defeated by 314 votes to 33, yet the vote was ominous for Thatcher when it was discovered sixty Tory MPs had either voted for ‘the donkey’ or abstained. Meyer himself said that people started to think the unthinkable, while in the shadows, prowling through Conservative associations and the corridors of Westminster was a far more dangerous, wounded creature. Michael Heseltine, who had walked out of the Tory cabinet four years earlier, was licking his wounds, recovering and ready to pounce. He showed sympathy towards Tory MPs, in trouble in their constituencies over the poll tax, but tried neither to lick his lips nor sharpen his claws too obviously in public. On 31 March 1990, the day before the poll tax was due to take effect in England and Wales, there was a massive demonstration against it which ended with a riot in Trafalgar Square (pictured below). Scaffolding was ripped apart and used to throw at the mounted police, cars were set on fire and shop windows were smashed. More than three hundred people were arrested and four hundred policemen were hurt. Thatcher dismissed the riots as mere wickedness, which of course they were. Yet beneath them, it was obvious that there was a growing swell of protest by the lower middle class, normally law-abiding voters who insisted that they simply could not and would not pay it. That was what shook her cabinet and her MPs, worried about their electoral prospects in 1992. One by one, the inner core of true Thatcherites peeled off from their leader. Her Environment Secretary, Nicholas Ridley, had to resign after being rude about the Germans in a magazine interview. John Major turned out to be worryingly pro-European after all. Ian Gow, one of her closest associates, was murdered by an IRA bomb at his home. As the Conservatives’ ratings slumped in the country, Tory MPs who had opposed the tax, including Michael Heseltine’s key organiser, Michael Mates, began to ask their colleagues whether it was not now time that she was removed from power. Abroad, great world events continued to overshadow the last days of Margaret Thatcher’s premiership. A few weeks after the fall of Ceaucescu in Romania, on 11 February 1990, Nelson Mandela, the man whom Margaret Thatcher had once denounced as a terrorist, was released from gaol in South Africa to global acclaim. In April, Douglas Hurd, who had replaced Geoffrey Howe as the British Foreign Secretary, visited Mikhail Gorbachev in Moscow. The BBC’s John Simpson (pictured below) was among a group of journalists had assembled outside the Spassky Gate he Kremlin and as the bells sounded their strange falling peel on the hour they were ushered in by a side entrance. If the problems of coping with a collapsing empire were telling on him, they had not crushed him. The man who asked Margaret Thatcher at length in December 1984 about how Britain had divested herself of her colonies now had personal experience of the process. I mouthed the word ‘Question’ to him and nodded towards Gorbachev. Shevardnadze shrugged and mouthed back the English word ‘Try’. But directly my colleagues and I began asking about Lithuania, Gorbachev smiled and shook his head. “I answered several hundred questions from the ‘Komosol’ this morning. That’s enough for me,” he said. The strain in his face seemed greater than ever. We were ushered out, and the double doors closed on him. For John Simpson, the lesson of the winter of change in Central and Eastern Europe was that, no matter how hard the Communist Party tried to reform itself, the voters would punish it for the sins and failures of the past. That was what happened at the polls in Hungary later that spring, Imre Pozsgay had made multi-party democracy a possibility; his newly-formed Hungarian Socialist Party (MSZP) of ‘reformed’ communists received a tiny percentage of the vote. I observed the spirit of national renewal which seemed to sweep the centre-right Hungarian Democratic Forum (MDF) to power under the leadership of József Antall, the first freely-elected Prime Minister for forty years. In East Germany, most people agreed that Hans Modrow, the former Communist prime minister, was the best and most respected candidate standing in the election; he and his fellow communists felt that it was a considerable achievement to have won sixteen per cent of the vote. By the first few months of 1990 the mood in the Soviet Union was such that if there had been an election there, Simpson sensed that the Communist Party would have been swept out of office. Realising this, Gorbachev insisted that his election as President of the Soviet Union should be carried out by the deputies of the People’s Congress, not by popular vote. When local elections were held in the spring, Communist candidates usually fared badly. Above: August 1990 – The Iraqi Army invades and annexes Kuwait. On 2 August, however, the whole world was taken by surprise by events in the Middle East. John Simpson was on holiday in the south of France (I was on a delayed honeymoon on Jersey) when Saddam Hussein invaded Kuwait, a small but oil-rich nation to the southern end of the region. Iraq was a Soviet ally, but it had also enjoyed the tacit support of both Britain and the US in its war with Iran and had secretly been provided with arms by them while it continued to torture and oppress both its Shi’ite and Kurdish minorities, as well as many dissidents. Within three hours of hearing the news on the radio, Simpson was on a plane back to London and two weeks later he was part of the first European television team to be allowed into Baghdad since the invasion. Negotiation had failed to dislodge the Iraqi forces and Thatcher had urged President George Bush to go into what became the Gulf War. An international coalition had been assembled. Simpson had decided that he wanted to report the war from the epicentre of the crisis, from Baghdad itself. He had left Iraq four months earlier, assuming that the authorities there would never have him back. This was because he had become involved in the case of Farzad Bazoft, an Iranian journalist working for the Observer in Iraq. Between 1987 and 1989 the young Iranian had travelled to Iraq five times with nothing more substantial than British travel documents. The last time was in September 1989, and on the day he left London the news leaked out that a huge explosion had taken place at Iraqi government’s weapons manufacturing plant at Al Qa’qa sixty miles south of Baghdad. Committed to investigative journalism, Farzad Bazoft used his ‘considerable charm’ to persuade an attractive British nurse living in Baghdad, Daphne Parish, to drive him down there. He also asked an Iraqi minister and the information ministry for help to visit there and told the Observer over a heavily tapped phone line precisely what he was going to do. Farzad was picked up as he was leaving Baghdad airport at the end of his visit. In his luggage were some samples he had gathered from the roadside at Al Qa’qa; presumably, he wanted to have them analysed back in London to reveal what type of weapon had exploded there the previous month. He was tortured and eventually confessed to everything they wanted: in particular, to spying for the British and the Israelis. Daphne Parish refused to confess since she had not broken the law. When the Iraqi authorities put them together Farzad tried to persuade her to do as he had. It would, he said, mean that she would be released. It didn’t of course; it just meant that the Iraqis had the grounds they wanted to execute Farzad Bazoft. At their trial, Farzad was sentenced to death and Parish to fifteen years. No one translated the sentence for them or told them what was going to happen. A British diplomat had to break the news to Farzad that he was to be hanged directly their meeting ended. Minutes later he was taken out and executed. Daphne Parish was released after ten difficult months in prison. Hanging Farzad Bazoft was Saddam Hussein’s first open defiance of the West. Mrs Thatcher had asked for his release, and called his action ‘an act of barbarism’. Those of us who had been campaigning on behalf of Iraqi and Kurdish dissidents who had fallen foul of such acts of imprisonment, torture and murder for the previous ten years, only to be told these were part of internecine conflict felt some vindication at last in these tragic circumstances. Had firm action, including effective sanctions, been taken against the Ba’athist régime been taken sooner, not only might Farzad and many others have been saved, but the whole sorry chapters of the wars in Iraq might have been unwritten. If the tabloid press in Britain hadn’t suddenly become hysterical about it, insulting the Iraqis, Farzad might, at least, have been spared the hangman’s noose. All this had determined John Simpson to go to Baghdad himself to report the reality of Saddam’s reign of terror. Six weeks after Farzad’s death, he arrived there with a small team from the BBC and several other British journalists. There were daily demonstrations outside the British embassy complaining about the efforts which the British government was then belatedly making to stop weapons technology reaching Iraq. Simpson and his team were virtual prisoners in their hotel, and no one in the streets wanted to talk to them, knowing that such contacts with Western journalists were dangerous. The Ministry of Information decided to impound all of their video cassettes. Simpson had said something in a broadcast about the total surveillance under which they were working, which had upset their minders. Eamonn Matthews, the producer, decided to stay on to on for a few days to get them back and was picked up at the airport the following day exactly as Farzad had been. He was threatened, treated roughly, and kept a virtual prisoner overnight. When he walked into the Newsnight office in London his face showed signs of the stress he had been under. Simpson assumed he wouldn’t be let back into Iraq, and at that time, was not too upset about that. “Why not?” he said, as he climbed into his expensive limousine. This time, though, I had the faint sense that he meant it. The following day the Iraqi embassy in London called. Our visas had come through. … to nice cups of tea … as if nothing had changed since the Blitz. They fought back the tears for the sake of their children, and busied themselves with their luggage so that the cameras couldn’t pry into their emotions. Many complained that the Foreign Office or the British embassy had failed to help them enough, and seemed to feel it was all the Government’s fault, as though Saddam Hussein were an act of God like drought or flooding, and Mrs Thatcher should do something about it. “I don’t see why we should suffer because of her and President Bush,” said one affronted woman. When the newspapers put a compulsory ‘evil’ in front of someone’s name, you know there’s a particular need for coolness and rationality. And to prove the superiority of our civilization over Saddam’s, someone threw a brick through the window of the Iraqi Cultural Centre in Tottenham Court Road. Simpson returned to Baghdad after a week or so, staying there from September to November 1990. There were some ‘peace tourists’ there too; well-intentioned people who hoped to prevent the war by join the Iraqi protests in Baghdad or try a bit of freelance negotiation. Others had come to plead for the release of their fellow citizens whom Saddam Hussein was holding hostage. As far as the foreign press and media were concerned, a government which had been so paranoid about them a few months earlier now invited them to Baghdad in such large numbers that the pool of English-speaking Iraqi ‘spooks’ was drained by the effort of following them around. By the autumn, there were well over a hundred journalists from the main western countries, and the main international news organisations. The man who had invited them, the chief civil servant in the Information ministry, Najji al-Haddithi, spoke fluent English and had managed to persuade his minister to approach Saddam Hussein with a plan: that Iraq should now regard Western journalists as useful in its own propaganda campaign. As a result, the régime gradually opened its doors to every major British broadsheet newspaper and every major American, Canadian, Japanese and European news organisation, which each had its own representative in Baghdad. Because we want you to see that we are human beings like yourselves. So that your readers and viewers will see it. So that if, God forbid, President Bush decides to bomb us, you will know what you are bombing. You are a form of protection for us. In the Gulf War, US marines arrive at Khabji, Saudi Arabia, to reinforce the front line. In all his six months in the country, however, John Simpson had not managed to meet Saddam Hussein himself. In November 1990, just as he was about to arrange the details of their meeting, he found himself suddenly unable to get in touch with the officials, including al-Hadithi. He knew that this was because of Saddam Hussein’s unwillingness to let anyone edit his words. Simpson had warned the officials that the BBC would not be able to run ninety minutes of the president uncut, that this was something that would not be allowed to any British politician, even to the Prime Minister herself. The Iraqis resolved this stand-off by offering the interview to Independent Television News instead, who said yes at once. Simpson was furious and decided to go back to London: he was also tired, after ten weeks in Baghdad without a break. More to the point, when the news came through of Margaret Thatcher’s resignation, he decided he wanted to cover the campaign for the succession. The final act in Margaret Thatcher’s near-eleven-year premiership had begun on the European continent earlier that autumn, which was also where it was to end at the end of that remarkable season in British politics. There was another summit in Rome and further pressure on the Delors plan. Again, Thatcher felt herself being pushed and dragged towards a federal scheme for Europe. She vented her anger in the Commons, shredding the proposals with the words, ‘No! … No! … No!’ After observing her flaming anti-Brussels tirade, Geoffrey Howe decided, that he had had enough. The former Chancellor and Foreign Secretary had already been demoted by Thatcher to being ‘Leader of the House’. Serving in the two great offices of state, and now Deputy Prime-Minister, a face-saving but significant status, he had endured a decade of her slights and snarls, her impatience and mockery. He would finally leave the government, joining Michael Heseltine and Nigel Lawson on the ‘back benches’ of the Commons but, like them, he would leave on his own terms. Curiously and perhaps ironically, it is this part of his statement which is best remembered and most replayed. However, his dispute with Thatcher was over matters of substance more than ones of style; this was no game, not even one of cricket. He was advocating a move back towards a more centrist position on constitutional and administrative issues, such as taxation and European integration. Television cameras had just been allowed into the Commons so that, across the country as well as across the channel, via satellite channels, people could watch Howe, with Nigel Lawson nodding beside him, Michael Heseltine’s icy-calm demeanour and the white-faced reaction of the Prime Minister herself. The next day Heseltine announced that he would stand against her for the party leadership. She told The Times that he was a socialist at heart, someone whose philosophy at its extreme end had just been defeated in the USSR. She would defeat him. But the balloting system for a leadership contest meant that she would not just have to get a majority of votes among Tory MPs, but that she had to get a clear margin of fifteen per cent in total votes cast. At a summit in Paris, she found that she had failed to clear the second hurdle by just four votes. There would be a second ballot and she announced to a surprised John Sargent of the BBC, waiting at the bottom of the steps outside the summit, that she would fight on. It was a pure pantomime moment, seen live on TV, with viewers shouting “she’s behind you” at their TV sets as she came down the steps behind him. Then she went back up the steps to rejoin the other leaders at the ballet. While she watched the dancing in front of her, Tory MPs were dancing through Westminster either in rage or delight. Her support softened as the night went on, with many key Thatcherites believing she was finished and that Heseltine would beat her in the second ballot, tearing the party in two. It would be better for her to withdraw and let someone else fight him off. Unfortunately, he went on to argue that… it was better to go down in a blaze of glorious defeat than to go gentle into that good night. Since I had no particular fondness for Wagnerian endings, this lifted my spirits only briefly. 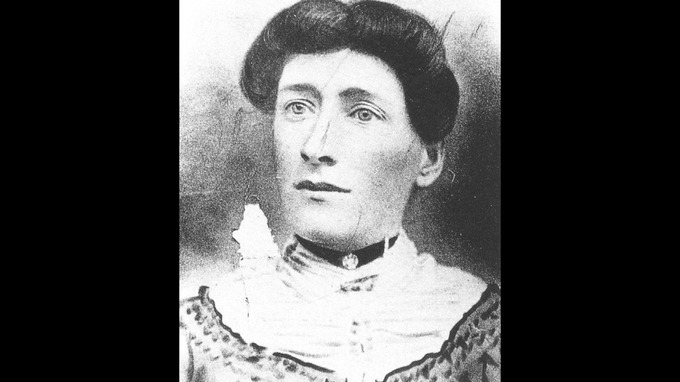 She had conducted her premiership with a sense of vivid and immediate self-dramatisation, the heroine of peace and war, figthing pitched battles in coalfields and on the streets, word-punching her way through triumphal conferences, haranguing rival leaders, always with a sense that history was being freshly minted, day by day. This is why so many insults levelled at her tended to twist into unintended compliments – ‘the Iron lady’, ‘She who must be obeyed’, ‘the Blessed Margaret’ and even ‘the Great She-Elephant’… She had no sense of her own limits. The world was made anew. Her fall lived up in every way to her record. When a great leader topples, poetry requires that her personal failings bring her down. The story insists that it must be more than… weariness or age. And this story’s ending lives up to its earlier scenes. John Major’s seven years in office make him the third longest-serving peacetime prime minister of modern times, behind Tony Blair and Margaret Thatcher, but he often gets overlooked, probably because he came in the middle of what is increasingly referred to as the Thatcher-Blair era in British politics. To Mrs Thatcher and others in the cabinet and Commons, he appeared to be a bland, friendly, loyal Thatcherite. He was elected because of who he was not, not a posh, old-school Tory like Douglas Hurd, nor a rich, charismatic charmer like Michael Heseltine. His father was a music-hall ‘artiste’ with a long stage career, Tom Ball: ‘Major’ was his stage name. When John Major was born, his father was already an old man, pursuing a second career as a maker of garden ornaments. He lost everything in a business deal that went wrong and the family had to move from their comfortable suburban house into a crowded flat in Brixton. John Major-Ball was sent to grammar school, but was a poor student and left at sixteen. He worked as a clerk, made garden gnomes with his brother, looked after his mother and endured a ‘degrading’ period of unemployment before eventually pursuing a career as a banker and becoming a Conservative councillor. His politics were formed by his experiences of the inner-city and he was on the anti-Powellite, moderate wing of the party. He was selected for the Cambridgeshire seat of Huntingdon and entered Parliament in 1979, in the election which brought Thatcher to power. After the 1987 election, Thatcher promoted him to the cabinet as Chief Secretary to the Treasury, from where he became Foreign Secretary and then Chancellor. To everyone outside the Tory Party, Major was a blank canvas. At forty-seven, he was the youngest Prime Minister of the century and the least known, certainly in the post-war period. The Conservatives were content with this choice, having grown tired of amateur dramatics. He was seen by many as the bloke from next door who would lead them towards easier times. He talked of building a society of opportunity and compassion, and for privileges once available to ‘the few’ to be spread to ‘the many’. But he had little time to plan his own agenda. There were innumerable crises to be dealt with. He quickly killed off the poll tax and replaced it with a new council tax, which bore a striking resemblance to the ‘banded’ system previously proposed as an alternative. YA: “… I can tell you that there will be not be a war. I promise it: you will see. Something will happen: there will be an agreement. You must not think that President Bush is so foolish. You must not think that the Arab brothers are so foolish. War is a terrible thing. Nobody wants it. President Bush will compromise. ‘People who have seen him in the past day or so have told me that he is determined to stand and fight. He told one visiter that if he pulled his forces back now, there would be an uprising against him in the army and he might not be able to cope with it. It feels it’s essential to his own survival in power to face a war: he’ll certainly do it. On cue the great man appeared on stage, holding out his arm in the affected way which is his trade-mark, while the audience went wild. I looked forward to the pictures the camera crews must be getting. But when they came back, each of them said that Saddam hadn’t come past him. That convinced me. We had long heard rumours that his command complex was based under our hotel: this indicated that there were underground roads and passages from the complex to enable him to reach the various important government buildings in the area. … So there we were, living and working a hundred feet or so above Saddam Hussein’s head. We were his protection. 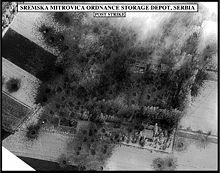 And if he knew it, the Coalition forces did as well: the European company which had built much of the bunker had handed over all the blueprints to them. The outlook wasn’t good. The American embassy in Baghdad, before it closed down, had warned everyone who stayed that they could expect to be killed in the bombing. President Bush himself had phoned the editors of the big American organisations represented in Baghdad and begged them to pull out. … the big organisations (with the exception of CNN) obliged. SL: But these things – I mean, it’s not really enough to risk your life to write a book, is it? JS: I suppose it’s just that I’m a bit of a ‘chancer’, that’s all. The Gulf War was the first major conflict since the Second World War in which it was essential for the multi-national allied forces not to have large-scale casualties. It ended when President Bush began to get nervous about the pictures of death and destruction which were coming in from the desert. Public opinion in the United States did not want another Vietnam, Laos or Cambodia, with large-scale carpet-bombing of civilian populations, pictures of massacres and of American GIs being flown home in body bags. In Britain too, people wanted a limited war fought to expel the Iraqi forces from Kuwait, but they didn’t want a huge body-count. They didn’t get one either, though there were some significant losses among the British forces. The Gulf War achieved its limited objectives, freeing Kuwait from the Iraqi invasion and resulting in the immolation the Iraqi army’s Republican Guard. It generated nothing like the controversy of the later Iraq War. It was widely seen as a necessary act of international retribution against a particularly horrible dictator. The bigger problem for the country itself was the quarter of a million deaths which occurred after the war, caused by UN Sanctions and Saddam Hussein’s reaction to them, especially his vengeful acts of genocide against the Iraqi Kurds in the north of the country. After the controversies and alarms of the Thatcher years, foreign affairs generated less heat, except for the great issue of European federalism. John Major had to turn straight away to confront Jacques Delors’ agenda, which was threatening to divide the Tory Party. If ever a place was well-chosen for debating the end of a Europe of independent nation-states, it was Maastricht in Holland, nestled so close to the German and Belgian borders it is almost nationless. Here the great showdown of the winter of 1991 took place. A new treaty was to be agreed and it was one which made the federal project even more explicit. There was to be fast progress to a single currency. Much of the foreign policy, defence policy and home affairs were to come under the ultimate authority of the EU. A ‘social chapter’ would oblige Britain to accept the more expensive work guarantees of the continent and surrender some of the trade union reforms brought in under Thatcher. For a country with a weak industrial base whose economy partly depended on undercutting her continental rivals, all this would be grave. For a Conservative Party which had applauded Lady Thatcher’s defiant Bruges speech, it was almost a declaration of war, in which Europe’s ‘federal’ destiny had been made more explicit. John Major was trying to be practical. He refused to rule out the possibility of a single currency for all time, believing it would probably happen one day since it had obvious business and trading advantages. But now was too soon, partly because it would make life harder for the central European countries being freed from communism to join the EU. In his memoirs, he protests that he was accused of dithering, procrastination, lacking leadership and conviction. Yet at Maastricht, he managed, during genuinely tense negotiations, to keep Britain out of most of what was being demanded of the member states. He and his Chancellor, Norman Lamont, negotiated a special British opt-out from monetary union and managed to have the social chapter excluded from the treaty altogether. Major kept haggling late and on every detail, wearing out his fellow leaders with more politeness but as much determination as Thatcher ever had. For a man with a weak hand, under fire from his own side at home, it was quite a feat. Major returned to plaudits in the newspapers using the remark of an aide that it was ‘game, set and match’ to Britain. Briefly, Major was a hero. He described his reception by the Tory Party in the Commons as the modern equivalent of a Roman triumph, quite something for the boy from Brixton. Soon after this, he called the election most observers thought he must lose. The most immediate worries had been economic, as the hangover caused by the Lawson boom began to throb. Inflation rose towards double figures, interest rates were at fourteen per cent and unemployment was heading towards two million again. Moreover, a serious white-collar recession was beginning to hit Britain, particularly the south, where house prices would fall by a quarter. An estimated 1.8 million people found that their homes were worth less than the money they had borrowed to buy them in the eighties when credit had been easy to obtain. Now they were in what became known as ‘negative equity’ and were often unable to sell their properties. During 1991 alone, more than seventy-five thousand families had their homes repossessed. The economy was so badly awry, the pain of the poll tax so fresh, Neil Kinnock’s Labour Party now so efficiently organised, that the Tory years seemed sure to be ending. Things turned out differently. Lamont’s pre-election had helped since it proposed to cut the bottom rate of income tax by five pence in the pound, which would help people on lower incomes, badly wrong-footing Labour. With a party as full of anger and resentment as the Conservative Party behind him, he had little chance of succeeding as prime minister. He was a throwback to an older kind of conservatism, middle-of-the-road, not too noisy, lacking in any particular conviction except that the Conservative Party was the natural governing party of Britain. The country had indeed been governed by Conservatives like Major for most of the twentieth century, and people were slow to understand how ideological the party had become under Thatcher. John Major shared none of her deepest views. He gambled that even if the backbenchers discovered his lack of right-wing conviction, the voters of Britain who traditionally dislike extremism and ideology would give him their backing. In the eyes of the British press, Major was the council-school boy, the anorak, the ‘swot’, who had ended up in Whitehall. He seemed to fit into a recognisable niche within the dreary, peculiarly English system of snobbery and was looked down on accordingly. In addition, many in the Conservative Party resented the fact that Mrs Thatcher had been overthrown, and would have taken it out on anyone who succeeded her. Major lacked her convictions, certainly. For the many, this was a relief. These convictions, brandished like sticks, were what made her so unpopular in the country as a whole; and if she had led the party into the 1992 election she would have lost it. No one would have blamed Major if he had led the Tories to defeat in the 1992 election, which he called for April.